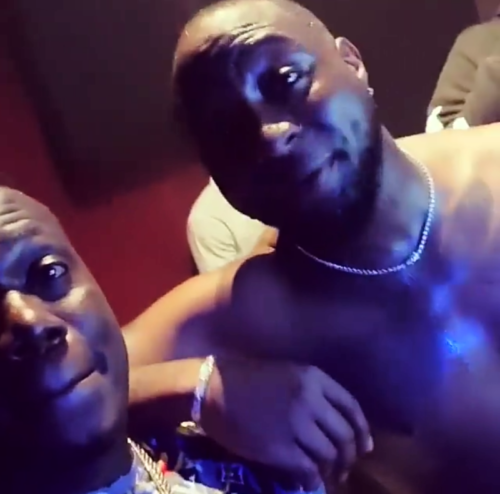 Davido Comments On Duncan Mighty’s Domestic Violence Accusation – DMW boss Davido had added words to Duncan Mighty’s response to accusations of wife battery. ‘Fake Love’ crooner Duncan Mighty was earlier accused of beating his wife Vivien and mother of his two children. The singer later gave an elaborate response to the accusation on his Instagram page. 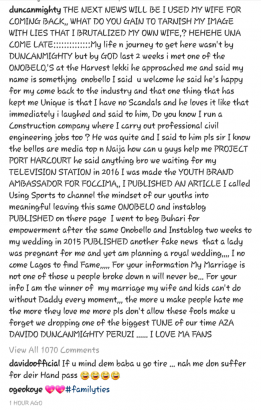 Davido took to Duncan’s page to comment on what seemed like an attempt to tarnish the image of his collaborator.